Kiryas Joel, NY - A legendary historian who profiled the life of the Satmar Rebbe Rabbi Joel Teitelbaum Zt’l and was known worldwide for his incredible breadth of knowledge on rabbonim, chasidus and Jewish life in Europe died yesterday at age 63. Rabbi Shlomo Yaakov Gelbman was born to Reb Bentzion Moshe and Chaya Sura Gelbman in Israel in 1952. The grandson of Reb Dovid Biderman, the Lelover Rebbe and Reb Moshe Kliers, the chief rabbi of Teverya, Rabbi Gelbman took pride in his father’s close relationship to the Chazon Ish. Rabbi Gelbman came to New York as a child where he learned at the Satmar yeshiva in Borough Park. Rabbi Gelbman’s passion for recording all things historic continued throughout his life and he authored many books including nine volumes of Moshiyan Shel Yisroel, detailing the life of the Satmar Rebbe. Several more volumes in the series are set to be released posthumously. Rabbi Gelbman also wrote several other books on the history of the Satmar movement. 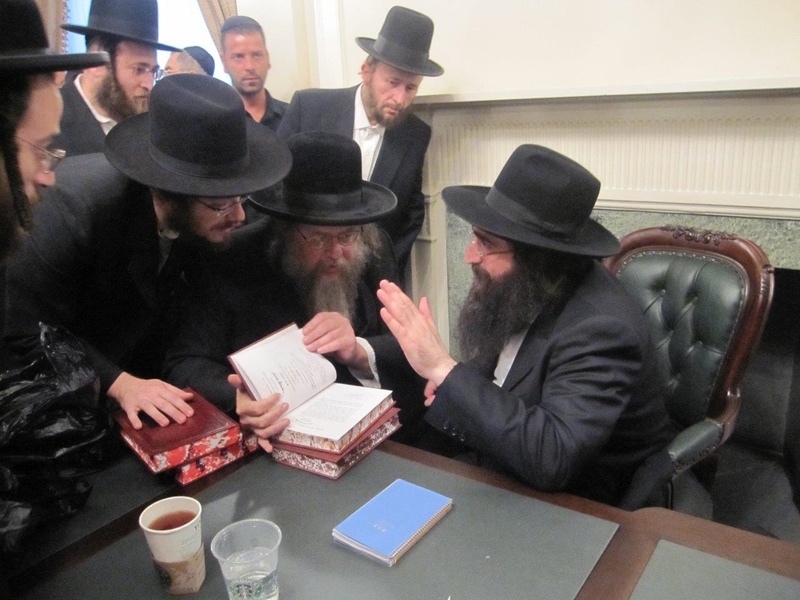 “He gave out a sefer called Retzon Tzaddik, the history of building Kiryas Joel,” said Freund. “It was an amazing book on how the shtetl was built and came out less than a year ago. Rabbi Gelbman also sought out pre-war divrei Torah from the Satmar Rebbe for a two volume set titled Tuv Leyvav. In addition to being an avid historian, Rabbi Gelbman was also a gifted speaker. While Rabbi Gelbman’s passion was the Satmar kehilla, he had a rightfully earned reputation as a human treasure trove of knowledge. Sruli Besser, an editor at Mishpacha Magazine, recalled his first meeting with Rabbi Gelbman. 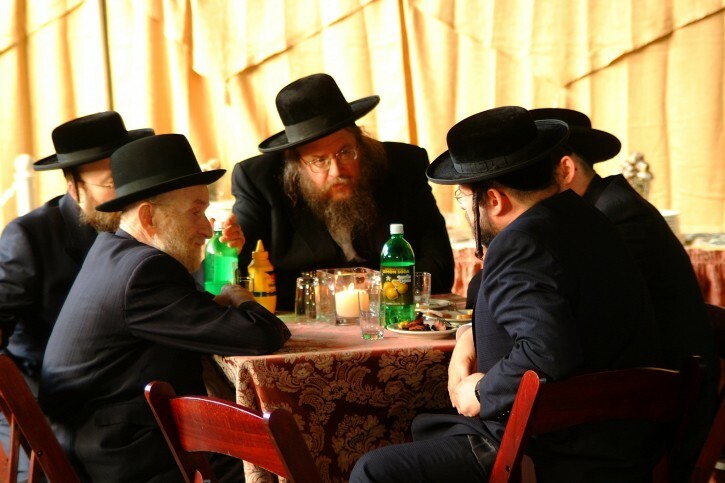 Rabbi Gelbman’s historical knowledge, coupled with his unique ability to connect with people, gave him a powerful ability as a fundraiser for Satmar. His magnetic personality made Rabbi Gelbman the key to opening many doors when it came to soliciting donations for Satmar projects. “He would walk into a room and electrify it and put everyone in a great place,” added Tabak. Rabbi Gelbman also had the ability to engage with people whose views were far different than his own. 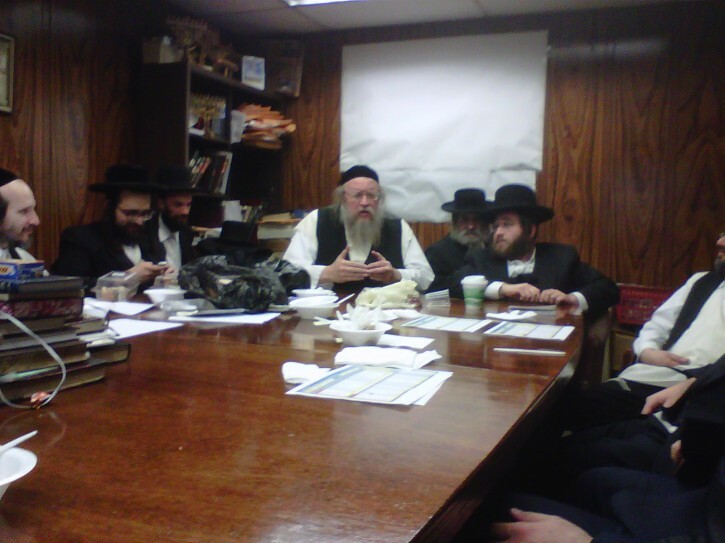 Rav Gelbman (R) meeting with Rav Malkiel Kotler rosh yeshiva of Beth Medrash Govoha in Lakewood. 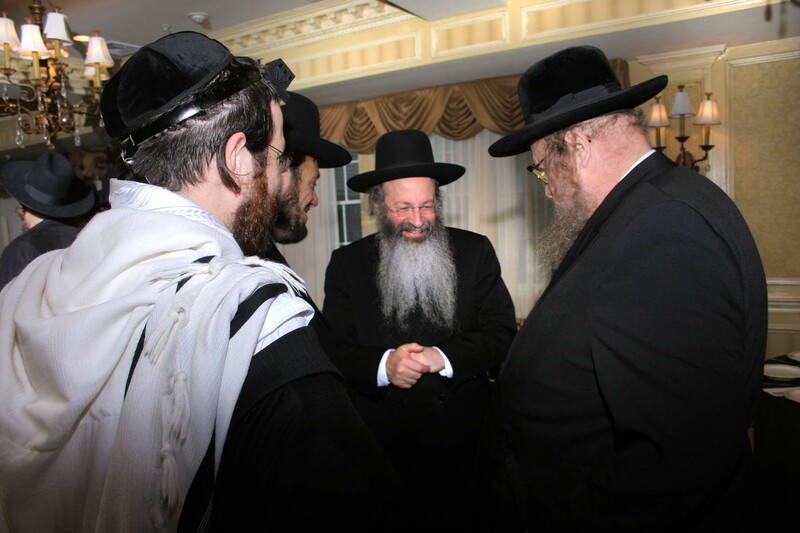 In another instance Rabbi Gelbman heard of a particular individual who had been close with Reb Aron Kotler and had carried a special message from Reb Aron Kotler to the Satmar Rebbe about Chinuch Atzmai, a cause that opposed Satmar’s views. The two gedolim shared a special relationship and the Satmar Rebbe told his gabai to write out a check for $500 to Chinuch Atzmai. Known as the definitive authority on Satmar, Rabbi Gelbman was quoted by the New York Times in an article on the death of Rabbi Moshe Teitelbaum, but his breadth of knowledge extended far beyond the Satmar chasidus. Always amenable to talk to anyone who reached out to him, Rabbi Gelbman’s phone rang frequently. Fascinated by gimatriyas, roshei taivos and even a good joke, Rabbi Gelbman’s quick sense of humor earned him the role of Satmar badchan. Rabbi Gelbman had taken ill in recent months but his death on Shabbos was unexpected. The levaya for Rabbi Gelbman began last night at the main Satmar shul on Rodney Street in Williamsburg and continued at the Vayoel Moshe shul in Kiryas Joel, where Rabbi Gelbman resided. Rabbi Gelbman was buried in the Satmar bais olam in Kiryas Joel and is survived by his wife Rebbetzin Pearl Gelbman, his sisters Mrs. Milka Rosenberg, Mrs. Nissy Fisher and Mrs. Esther Greenfeld, his sons Reb Yoeli, Reb Elisha and Reb Zalman Gelbman and his daughters Mrs. Devorah Leiberman, Mrs. Esther Stern, Mrs. Milka Steinmetz and Mrs. Reizel Laufer. Reb Shlomo Yankel Gelbman o'h was a legend a genious of a person.He had a brilliant memory. Besides a historian he was a Talmid Chacham. He was able to tell Torahs he heard 20 years ago. He was also a great Badchan for many years. He truly will be missed. As a Badchen my self I had the Zechus to be Preforming at several Simches around the world together with R' Shloime Yankel a"h, I remember about 25 years ago when we were together at a wedding in London when he was considered a world famous top Badchen and I was only a beginner that any one hardly know. Naturally I felt lost next to him and my level of confidence was next to zero and when the Mechuten introduced me to him the first time he made sure to make me feel like I was the center Badchen of the wedding and gave me a huge boost of confidence and gave me great ideas on what to say along with amazing history of the family and throughout the night he was only busy how to make me a huge success. It was a night for me that gave me Chizuk and confidence for many years of my career. He was a unusual FARGINER a giver and one that loved when other yiden are succeeding. A yid that was beloved by everyone and he will greatly be missed. As I grew up in Kiryas Yoel from one of first boys there, I knew personal Reb Shloma Yankel Z”L, very well, he was one of kind special Yid, my self Im much younger then him, and he was a good friend to our family, whenever or whoever spoke to him no matter the age, you always felt that he his your best friend, always smiling always a good vertal, never seen him down. He loved to make people happy, his talent was unbelievable, whenever he spoke a Drusha, the whole crowed no matter the amount of people was there, is was “sha shtil, a fleeg hot man gakant haren” where ever you have seen him he always had a crowd of people talking to him, especial history, from old rabbis and of course on rabbini Hakudesh Masatmer, Vayoel Moshe זצוק"ל, Words can not describe the loss of such a special yid, that was beloved by everyone and he will greatly be missed. 1) He wasn't a grandson of Reb Dovid Biderman, the Lelover Rebbe and Reb Moshe Kliers, the chief rabbi of Teverya, his wife is a granddaughter. 2) His sefer Retzon Tzaddik was released in 1998 16 years ago, his sefer Avir Haroyim is the one that was published less than 1 year ago.